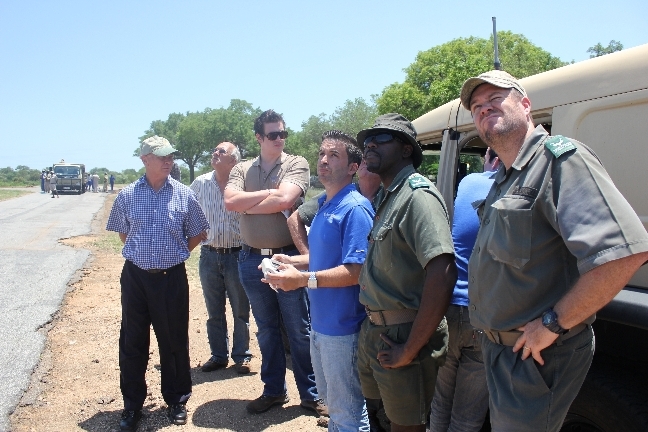 This is the second in a series of posts reporting on the Wildlife Conservation UAV Challenge fact-finding mission to South Africa. 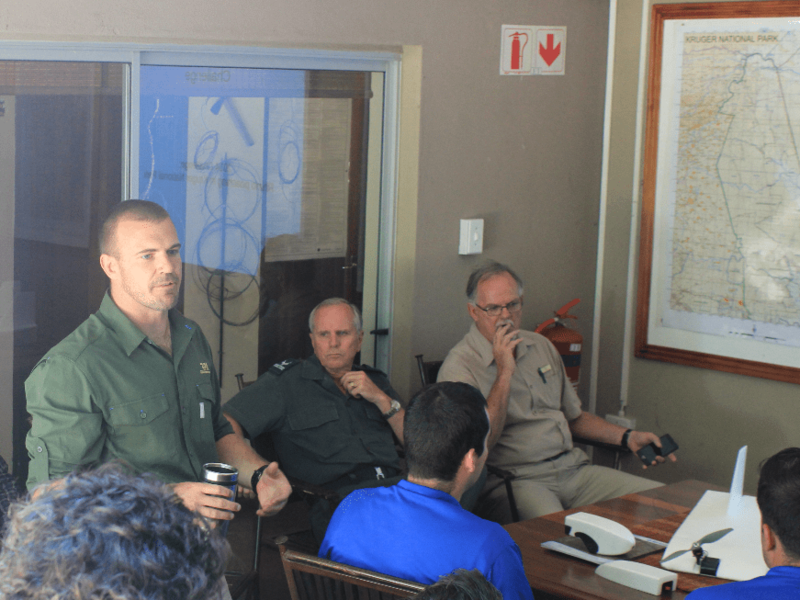 SKUKUZA, SOUTH AFRICA — We’re in the operations command center for a briefing from SANParks officials. The scene is hectic. Mission area senior staff officer, Otch Otto, is directing resources and taking calls from the field. The news is sobering. Two poachers had been intercepted and shot by rangers. The rest is bad news. We’re in a full moon period—the most active time for poaching—and a fresh rhino carcass had been discovered. On the wall was a table that quantified the grim reality. Five hundred and twenty four rhinos had been killed so far this year. Fifty were killed in October. Seventy in September and 18 this month. On the opposite wall was a map of Kruger Park littered with clusters of colored thumbtacks. Yellow: a carcass. Blue: shots heard. Green: poacher sighting. White: poacher tracks found. Makers will take action to make the world a better place. The UAV Challenge, like makers themselves, seeks to do things. Makers are signing up to solve one of the world’s biggest problems. Technology is changing. The size and cost of key components has dropped dramatically while capabilities have increased. This presents an opportunity for the world of makers and hobbyists to drive innovation. SANParks will benefit from a custom solution. The R&D needed might not have a clear business case. Crowdsourcing a solution can advance the research and move a viable solution into production more quickly. The role of UAVs is expanding. New capabilities allow for ranger-directed, tactical deployment. Scott “LB” Williams from RPA speaks about how low cost UAV technology is changing the game. Scott “LB” Williams is director general of the Reserve Protection Agency and a member of the challenge’s leadership team. He highlighted the role that the cell phone industry has played in lowering the cost. “Squeezing all that tech into your smart phone has made what we’re trying to do possible,” he said. After our presentation we moved to the airstrip outside to fly some birds. Accompanying the challenge was Aurora Flight Sciences to demonstrate their “Skate” UAV. Skate is a low cost, commercial off-the-shelf, back-packable UAV that we believe best meets SANParks needs today. Skate has been tactically deployed by troops in Afghanistan. Larry Wirsing and John Glezellis from Aurora Flight Sciences demo Skate. 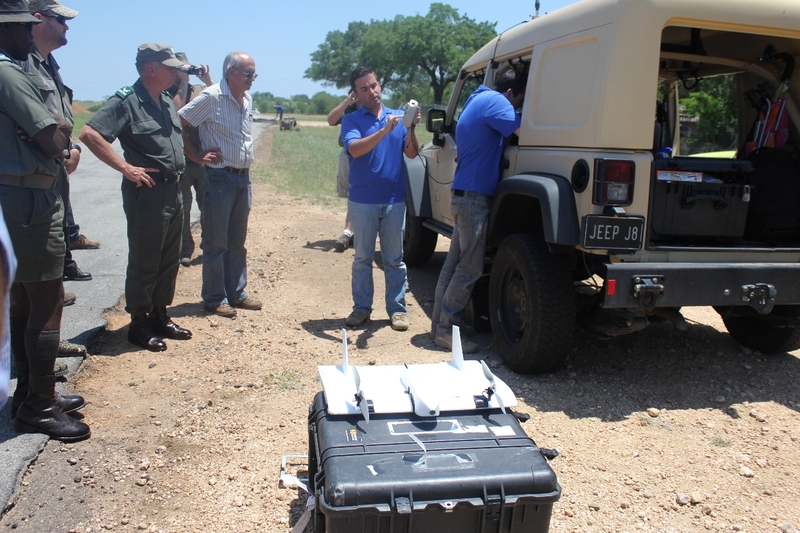 The UAV Challenge team and Aurora will be embedded with a ranger in the field to execute live missions. My next post will feature video of these missions. 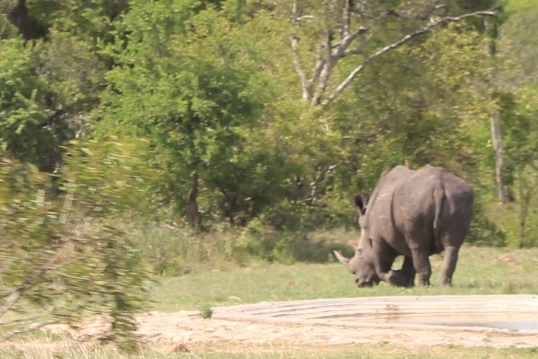 On the way back from the meeting we spotted our first rhino.